Research by the country’s foremost activity provider, The Activity People, reveals a combination of tougher economic times and Government spending cuts are steering employees and companies away from traditional office Christmas parties towards more action-based activities. The Activity People monitored corporate bookings for Christmas parties over a five-year period. The figures reveal a dramatic increase in the last two years in the number of companies booking activities such as paintball, go karting or clay pigeon shooting. Research by YouGov in 2009 revealed that only about 40 per cent of office workers were guaranteed a Christmas party, with one in six employees contributing to the budget themselves. Rebecca Rudkin, Corporate Manager at The Activity People, believes this pressure on the Christmas party budget is forcing employees and companies to rethink their party plans. ‘More than ever before companies want value for money for their Christmas party and they want to be sure that employees enjoy it. Therefore, they are being more creative in what they are doing,’ says Rudkin. Although the latest Government economic statistics revealed higher growth figures than expected, the planned Government spending cuts mean 2010 is likely to be another Christmas where budgets will be tight for parties. 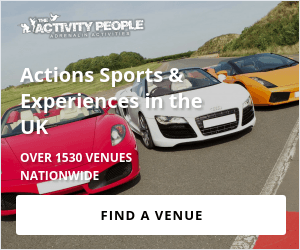 The Activity People are giving every participant a £10 voucher to spend on an activity of your choice after Christmas, with Christmas and New Year bookings of 20 people or more. Just quote ref: adrenamagfreevoucher, when you book your group into any activity, and the vouchers are yours. Next PostHow safe is paintball? I hope you never stop! This is one of the best Ive ever read. Youve got some mad skill here, man. I just hope that you dont lose your style because youre definitely one of the coolest bloggers out there. Please keep it up because the internet needs someone like you spreading the word. But it is great fun anyway – just get on with it UK – the sun will come up tomorrow!